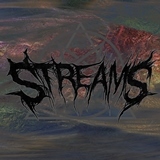 Finnish Streams is a duo and, as I understand it, this self-titled eponymous single is their first and so far only release. They call their concoction epic death metal, and it probably can be classified as such since there is downtuned riffs, machine gun drums and extreme vocals. Coupled with the keyboards created background, Streams, the track, sounds like a bit of a horror movie about to hit culmination. The vocals are of dual variety, the Amon Amarth styled growl and more hysterical black shrieks, but to me the downfall of the song was the fact that the riff is very much of singular variety, there are no other guitar escapades, so these 2.5 min become a single note, except when child/girlie voices are piped in for the drama effect. That trick seems very gimmicky as well, so the whole experience left me guessing whether the pair is on a serious path or just wants to experiment and have some fun. Nothing wrong with the latter, just wasn’t what I was hoping for.